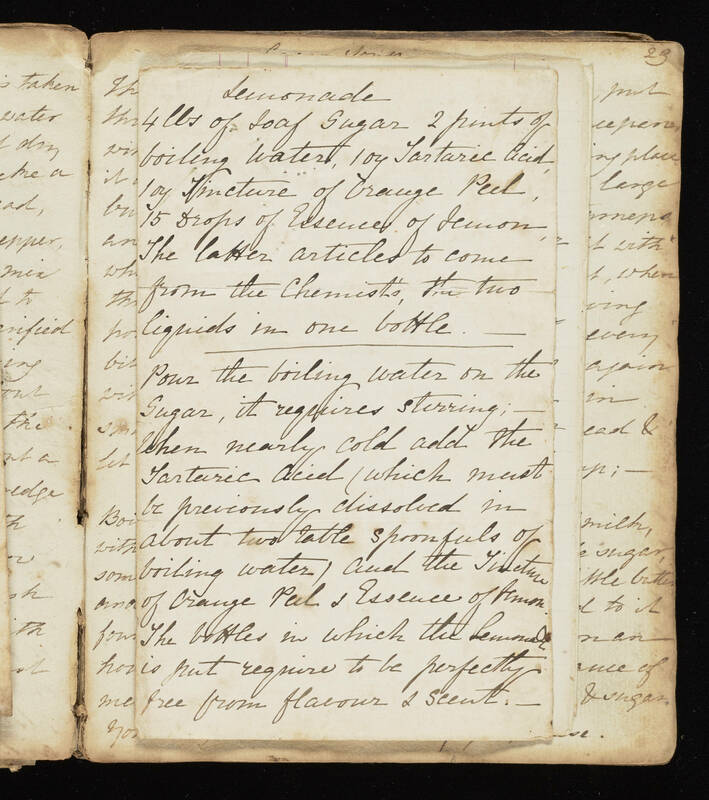 Lemonade 4 lbs of Loaf Sugar 2 pints of boiling Water 1 oz Tartaric Acid 1 oz Tincture of Orange Peel 15 Drops of Essences of Lemon, The latter articles to come from the chemist's the two liquids in one bottle. Pour the boiling water on the Sugar, it requires stirring; when nearly cold add the Tartaric Acid (which must be previously dissolved in about two table spoonfuls of boiling water) and the Tincture of Orange Peel & Essence of lemon. The bottles in which the Lemonade is put require to be perfectly free from flavour & scent.